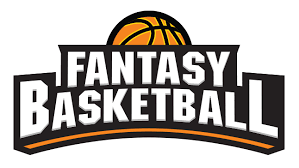 After last night's opening few games, the season is set to get in full swing tonight and I will be beginning a daily NBA fantasy contest, in which the winner will receive 100% of the SBD generated in this post. Be sure to upvote and resteem to increase the pot. Good luck and enjoy, what I am considering "Opening Night"!! ▪ Please be sure to upvote this post to ensure you entry is counted and to increase the pot for the winner(s). Resteems are appreciated but not needed to compete in the contest. ▪ Each day there are more than 3 games I will run this contests, as even 4 games is 8 teams worth of players to choose from. ▪ To play, all you have to do is pick 5 players that you think will do the best based on the scoring I will be using (listed below). ▪ Any player competing on the night of the contest is eligible to be played and there is no rules as to position or cost of players. Simply pick the 5 best players and hope they preform better than everyone else's picks. ▪ To ensure a winner each night, a tie breaker is set into place. In addition to choosing your players for the nights match up, please select a number that you think your 5 players chosen will combine to score that night. If a tie exists, the contestant whose number was closest to the actual number of points their lineup scored will take 75% of the SBD for the post and the runner-up (losing in the tie breaker) will receive the other 25% for making it to the tiebreaker. Contest closes at 7pm Eastern time for tonight's contest. Good luck to all contestants! !